Linda Gray is an award-winning actress, an accomplished director, a former United Nations Goodwill Ambassador and one of the world’s most recognized and admired stars. Her portrayal of ‘Sue Ellen,’ in the original TV series “Dallas,” brought her international fame and critical acclaim earning her an Emmy nomination for Best Actress and numerous international awards. After eleven years as the number one show on television, “Dallas” returned to TNT in 2012 and ran for three successful seasons. She has generously devoted time to many philanthropic causes including Best Buddies and Meals on Wheels. Fashion X Dallas honors Gray on the closing night Saturday, September 10th. Help support Assist the Officer Foundation Dallas, which provides financial assistance exclusively to Dallas police officers facing the loss of income due to a serious injury, life-threatening illness or other catastrophic event, and officer’s families in the event of the death of an active officer, by purchasing “Style Setter” Saturday tickets. Cast member on “The Real Housewives of Dallas,” LeeAnne Locken is always willing to lend her name and talents to as many charities as she can. She has brought attention to causes she is passionate about by either emceeing, hosting, walking the runway or even chairing local events. In 2014, she served as the Honorary Chair for the 2014 No Tie Dinner benefiting AIDS Services of Dallas, and she was the 2014 Co-chair of Art From the Heart benefiting Dallas Challenge. She currently serves on the board of THE FASHIONISTAS and was honored to be on the 2013 Style Council for DIFFA. Locken’s inimitable sense of style will be showcased at Runways & Gallery on Thursday, September 8th. A portion of all “Style Setter” tickets for Thursday will benefit AIDS Services of Dallas. Steve Kemble, “America’s Sassiest Lifestyle Guru,” has been the magic behind countless corporate events, weddings and other ventures for more than two decades. As a Top Cop for Us Weekly’s Fashion Police, he has been dishing out fashion disses at celebrities for more than three years. His daily “What’s Hot” segment for CBS Radio has become an online sensation. Giving back is also a priority for Kemble, and he recently led a live auction for the 18th Annual Toast to Life benefitting Resource Center Dallas and hosted Art From the Heart benefitting Dallas Challenge. With over 250 jackets in his wardrobe, you’ll be able to see some of his couture looks that he’s been collecting for over 20 years. You may catch a glimpse of Dolce & Gabbana, Gucci, Saint Laurent, Valentino, and Kemble himself in Versace, designed by Gianni Versace, which he purchased from Elton John, at Runways & Gallery on Thursday, September 8th. Help support AIDS Services of Dallas by purchasing “Style Setter” tickets for Thursday. Since moving to Dallas 22 years ago, Heidi Dillon has been deeply involved in the city’s philanthropic and charity world – serving on numerous committees and boards and chairing high-profile events including Dallas Museum of Art’s Art Ball, Leukemia and Lymphoma Society’s Saint Valentine’s Day Luncheon and Fashion Show, Salvation Army’s Fashion Show and Luncheon, Nasher Sculpture Center’s New Year’s Eve at the Nasher, and Russell Simmons’ Diamond Empowerment Gala. Dillon is best known for founding the well-known nonprofit, THE FASHIONISTAS. Fashion X Dallas is excited to honor her and spotlight the best looks from her closet at Runways & Gallery on Friday, September 9th. 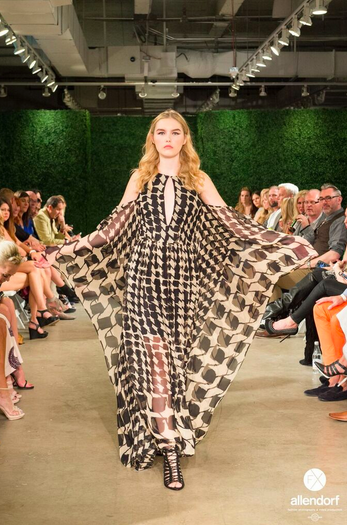 A portion of Friday’s “Style Setter” tickets will benefit Fashion Group International (FGI) Dallas Scholarship Fund.